She can't be from Ivory. I don't care what she says. She's not like any other woman I've ever met. I don't know where this is going. I don't know if it's going anywhere at all. But this woman is an angel. And she's the closest to Heaven I'll ever be..."
"I was born and raised in this town. I know what the men are like, including the club members. Even I'll admit that bikers do have a certain appeal. Leather. Tattoos. Choppers. But Blake... He's different. There's something about him. Those muscles. That smirk. That look in his blue eyes. It's just one night. I might as well have some fun now that I'm back in town..."
Welcome to Ivory, home of friendly townsfolk, honest cops, and motorcycle clubs. NEEDLE is a STEAMY standalone MC romance novel featuring a bad boy biker and the woman he'll do anything for. 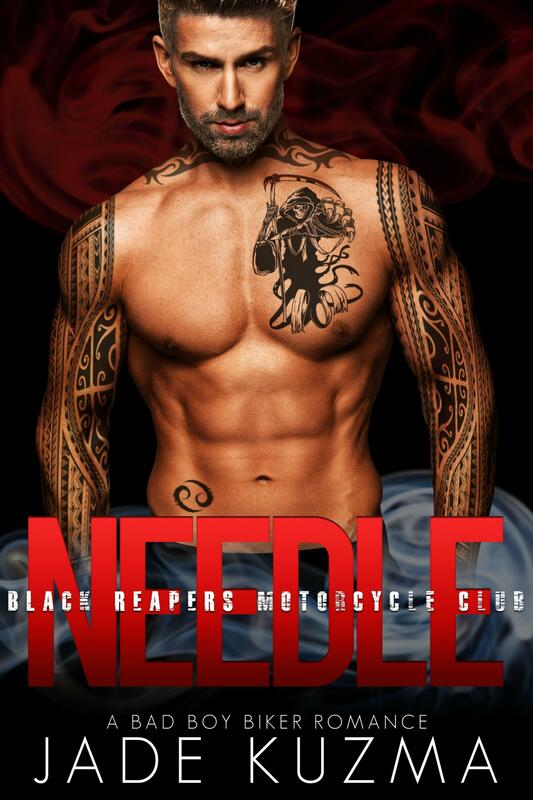 It's the second book in the BLACK REAPERS MOTORCYCLE CLUB SERIES but can be read as a standalone. It contains scenes of intense action, drama, and suspense. There are no cliffhangers and no cheating. Happy ending? You'll have to read to find out!